Allplan Exchange provides new functions and services for digital plan management: With the seamlessly integrated module, plan attributes such as the plan index can be edited with ease. All the plans created in the CAD system can be exported in various output formats, stored with individual file names and sent to others in the project via a web-based online platform. 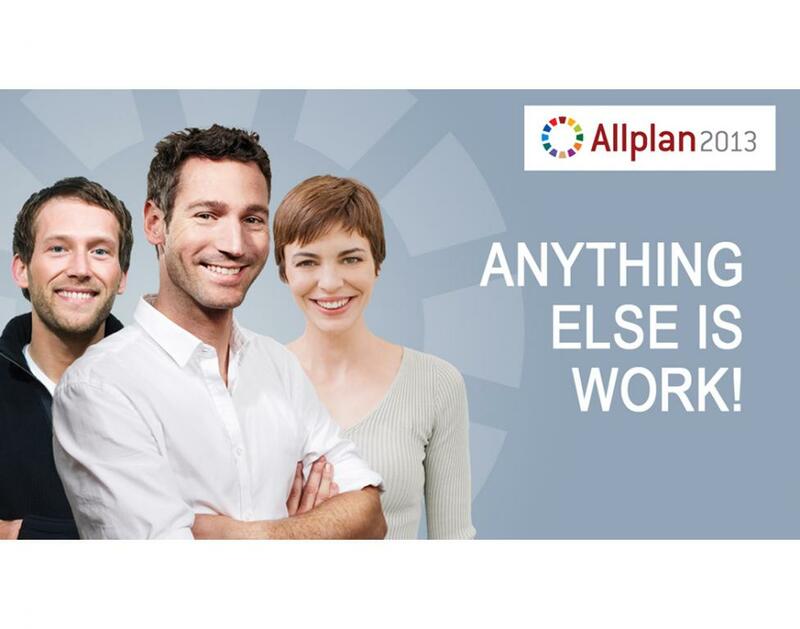 In version 2013 the Allplan Connect palette, a previous separate web service containing content such as CAD objects or textures, has been directly integrated in Allplan. The content can be easily selected and transferred to the Design Assistant with Drag & Drop. With Allplan SmartPart technology, parametric components – including reinforcement, if required – can be created with a few clicks. SmartParts with reinforcement are therefore particularly suitable for designing challenging components of practically any shape. The “Associative Views and Sections” functions enable a wide variety of views based on the same data. In combination with plot sets and drawing types, the same views and sections can be placed in the various plan types and do not have to be created multiple times. The “Associative Views and Sections” function in Allplan 2013 became even more simple and intuitive in its handling and offers new possibilities such as the individual adaptation of line and face styles or shadows. Thanks to improved work processes for reinforcement labeling, drafts people and engineers can work far more easily and efficiently when creating reinforcement drawings. Adjustments in line with international standards are more user-friendly, and fewer clicks overall in the work process save time. With the extended and revised report functionality, users benefit across all parts of the program from the uniform working method for determining the number of units, areas and masses. And with the new options for clash detection and color-coded reinforcement display, Allplan 2013 provides optimum support for the BIM working method. The interface to software solution iTWO from RIB enables the end-to-end processing of building projects based on a 3D model – including the dimensions of cost and time. Last not least the version 2013 convinces with a 64-bit version for more working memory and faster working with large volumes of data and a standardized, clearer user interface.